This week is Challenge No. 10 - Always Anything Goes at Inspiration Destination and we have TWO sponsors this week! One of our sponsors is Bugaboo Stamps! I love Bugaboo! 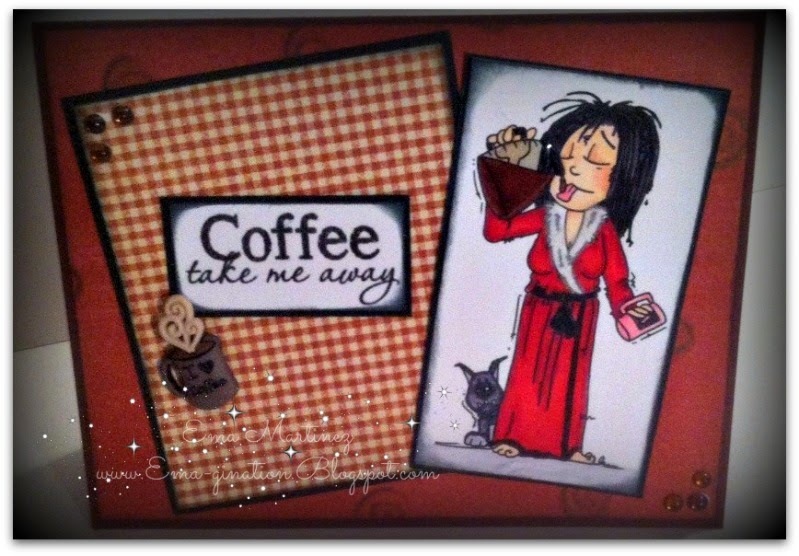 I have several favorite digi stamp stores and... I could count them on one hand, I think... this one ranks right up there! The prize is SEVEN digis! How I wish I could enter this challenge! Ha! This is a close up of the flock to create fuzz on her robe's collar. I hope you'll come visit us at IDCB and join in on the challenge. There are TWO sponsors this week and they are both equally fun, fun, fun! Hi Ema...Just dropping by to express how much I appreciate your wonderful and encouraging comments about my Blog and the message/s I brought. I may be unable to say it as often as I need to due to the constraints with time but comments of people like you who go above and beyond on just commenting entries is such a delight to see. Thanks a lot! 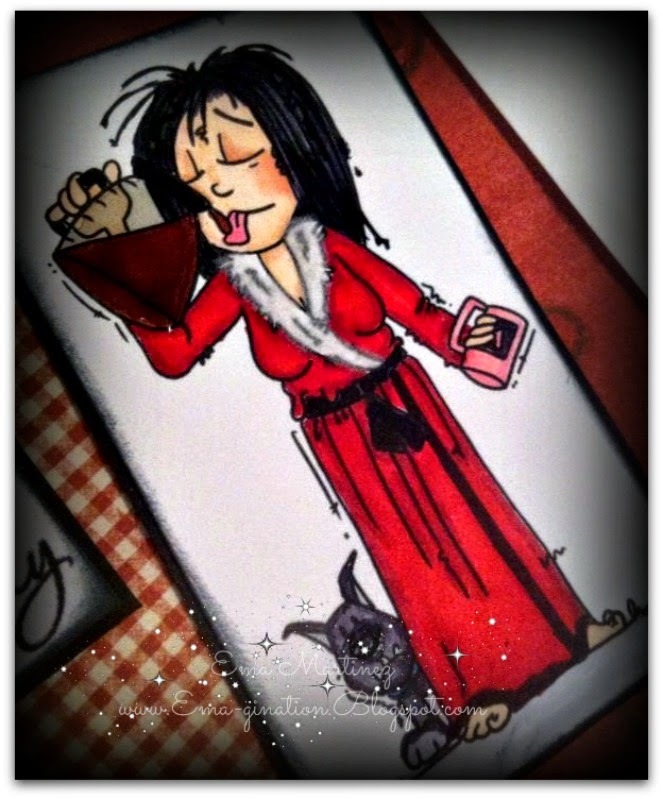 Just want to also say how I am adoring your artwork here...I always love Bugaboo stamps and you did a wonderful job with the coloring and the lay-out. Have a great weekend. God bless! Oh this is so fabulous, I hadn't seen this one! I love it. Thanks for playing with us over at Loves Rubberstamps!!! 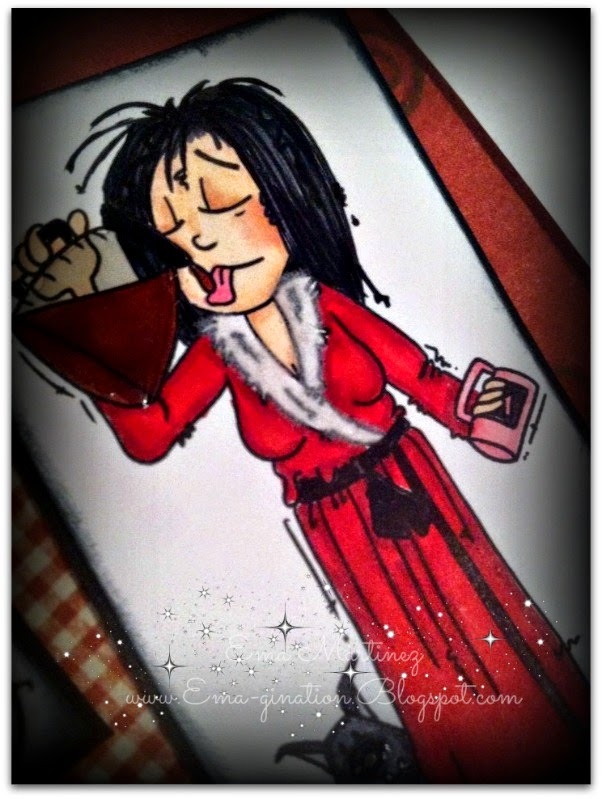 Great image, I feel like that in the mornings too! Love the work on the robe. Thanks for joining us at Perfectly Rustics. What a fun image.Fabulous card all round.Thanks for joining us at Crafty Sentiments.Hope to see you again next week. What a beautiful creation! Love your work! 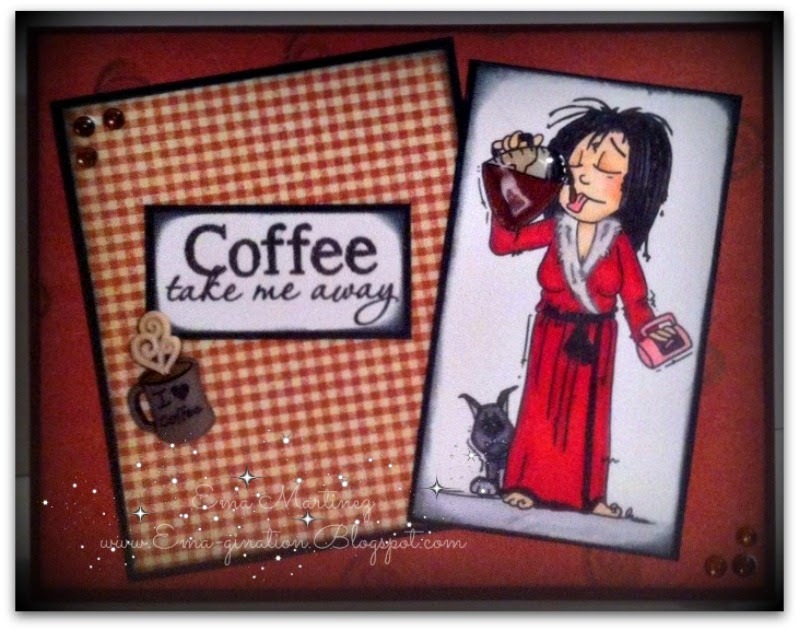 Thank You so much for joining us this week at Loves Rubber Stamps! 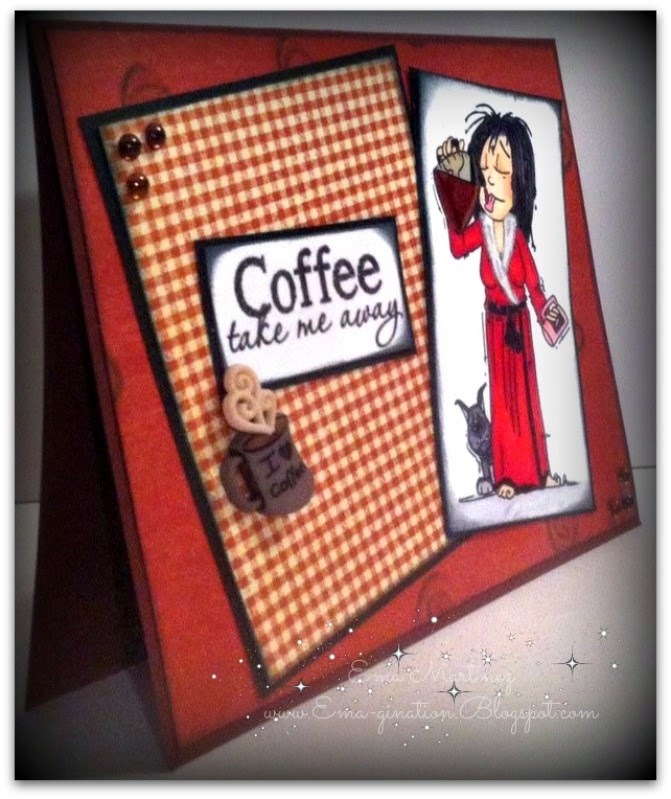 Love the image, sentiment and layout, thanks for joining in with the Sisters of Craft Challenge and good luck ! Best Wishes, Anne DT.